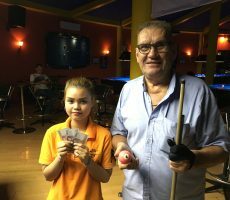 THURSDAY 9 BALL GRAND FINAL : ALBERT IS CHAMPION. 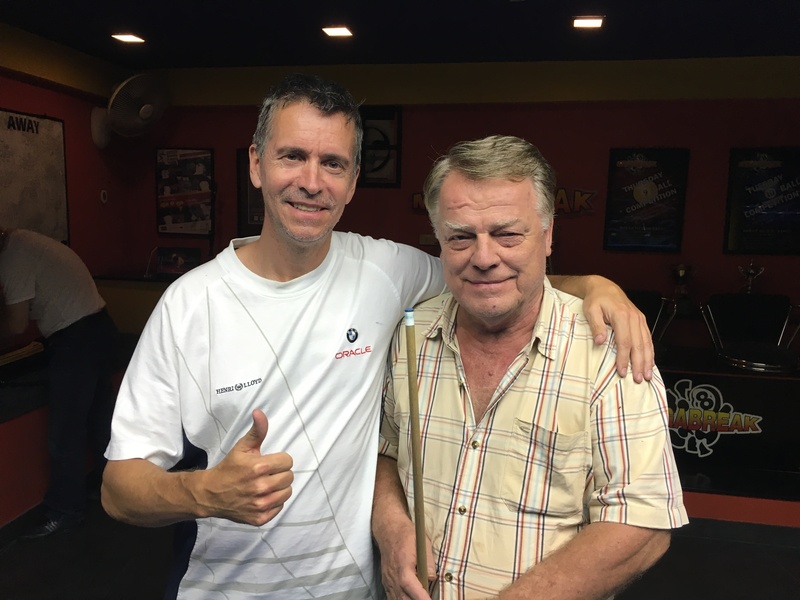 Congratulations go to “Combo King” Albert Gringhuis (A+1) from The Netherlands for winning our Thursday 9 Ball Grand Final for Season 16 on Saturday night. 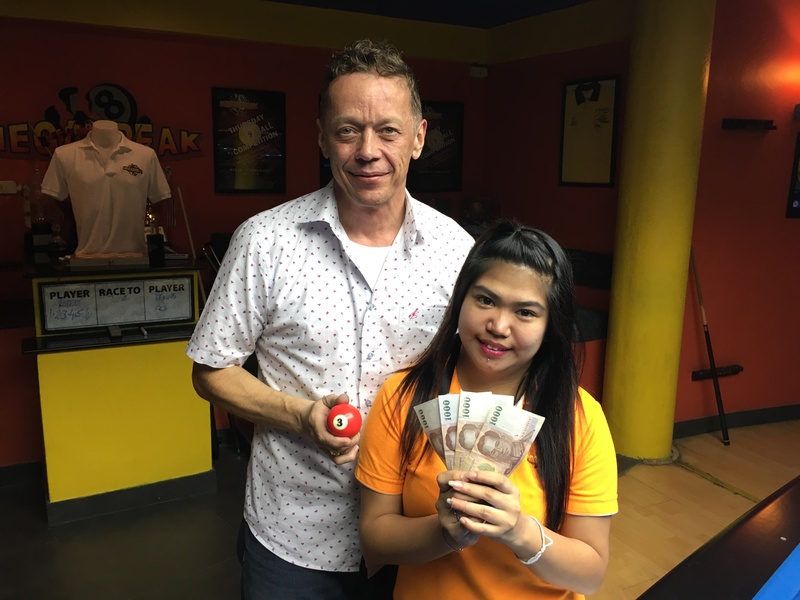 9 Ball specialist Albert defeated Canada’s Dennis Presiloski (A+3) in the final of the Double Elimination event to collect the 1st Prize of 10500 baht. He played very well on the evening, and was a worthy winner. He remained undefeated all night, whilst winning five consecutive matches. His handicap still stays at A+1, but he is now on the verge of becoming an A+2 player for the very first time. Will he get there?! 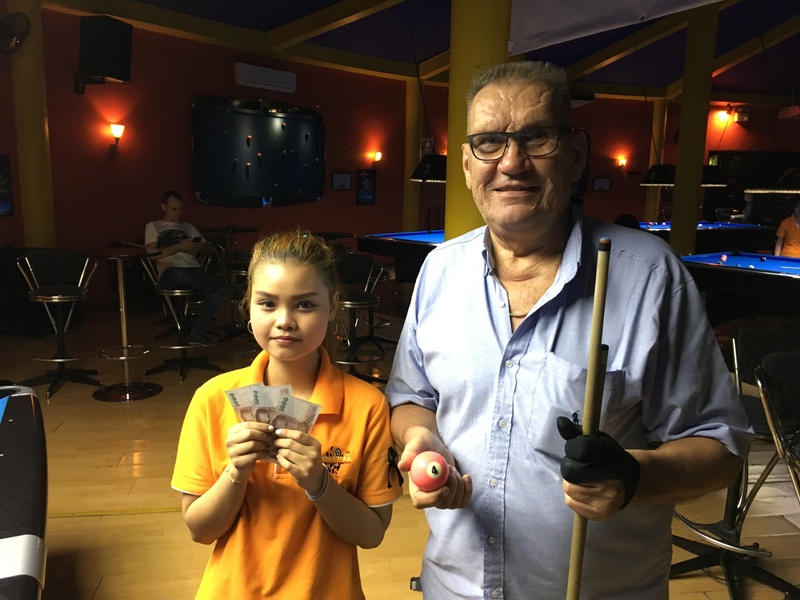 Runner-Up Dennis Presiloski also played well on the evening, before finding Albert too tough in the final, and took home 6000 baht in 2nd. He did lead Albert 4-0 (race 6-4) in the final, and looked on the verge of taking the match to a deciding set. Albert had other ideas though, and produced a great comeback to win four of the next five racks and seal victory in the hil hill rack. 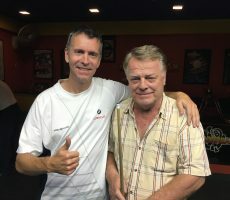 Germany’s Rob Schnabel (A+6) continued his recent run of good form to finish in 3rd place, receiving 4000 baht, and Hannu Torpstrom (A+2) from Finland performed consistently to take home 3000 baht in 4th. 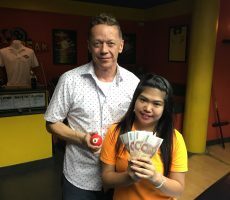 In equal 5th place were the Thai pairing of Fon (A+7) and Tong Songyouth Wattanasagonpunt (A+7), each receiving 2000 baht, whilst the other money winners were Jay-r Punzalan (A+6) from The Philippines, and Nelson Tyler (A+1) from The USA, who each collected 1000 baht for finishing in equal 7th place.